Best Malls Toronto? When visiting one of Canada’s foremost shopping centers, don’t be discouraged by a rainy or more likely, cold and snowy day. Your shopping adventure has just begun when you head indoors! Toronto is known for having some of the largest, most interesting malls in all of Canada (dare we say it, all of North America?). Come with us as we explore Toronto’s Five Best Shopping Malls. There’s no place quite like the Eaton Center, and for good reason. The Eaton Center is 1,722,000 square feet (yes, you read that right) of shopping pleasure. There are 330 stores and services within this magnificent mall and around one million visitors visit it per week. The Eaton Center is not only a shopping mecca but also an architectural joy to behold. With massive atrium and fountains and crisscrossing pathways (many of which go underground and make up part of Toronto’s PATH), the mall is a visual feast. 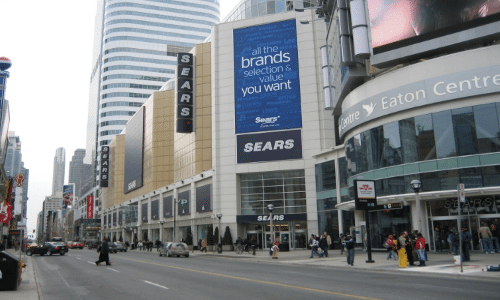 Not only for shopping, the Eaton Centre also houses three office complexes, a 17-storey Marriott Hotel and Canada’s largest department store, Hudson’s Bay flagship store. 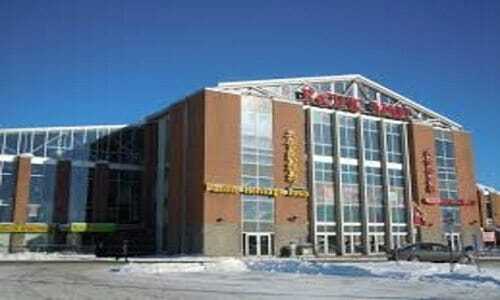 Yorkdale Shopping Center, also known simply as Yorkdale, is located several kilometers northwest of downtown Toronto. Don’t let that put you off, though. Yorkdale contains 250 stores, many of which are high-end and luxury goods. Armani Exchange, BCBGMaxazria, Club Monaco, Gucci and Guess all share space here, along with many other more affordable brands. 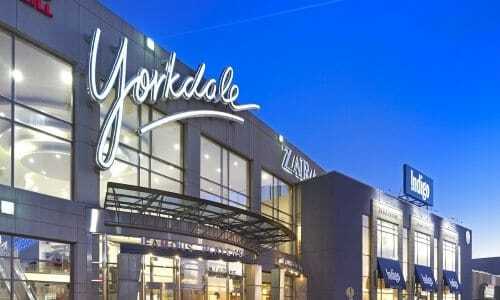 Yorkdale currently boasts the second highest sales per unit of any mall in Canada, at $1,100 CAD per square foot. Yorkdale offers a range of shopping choices, from the ever-popular apparel sections to athletic goods, books, footwear and technology. Yorkdale even has a LEGO store for the kids! Pacific Mall is an Asian shopping center in the suburbs of Toronto (in Markham, to be exact). Pacific Mall is enclosed by another shopping plaza, which includes Market Village, and put together they offer 500 stores to choose from. Pacific Mall is considered an official Canadian Tourist Attraction and is therefore exempt from statutory holidays, so no worries that it won’t be open to peruse on your day off! The mall offers many Asian delicacies and snacks, such as the controversial Shark Fin City in the food court and several bubble tea stalls and parlors. Among it’s more interesting shops are anime stores and the traditional-style Pacific market. Sporting Life and Holt Renfrew, Sherway Gardens is a contemporary light-filled shopping experience consisting of 215 stores over two levels. The mall was originally built in an interesting “S” shaped design but eventually became a figure eight to accommodate for more tenants. Containing high-end clothing brands similar to Yorkdale, Sherway Gardens boasts a Saks Fifth Avenue and a Nordstrom store will open in 2017. 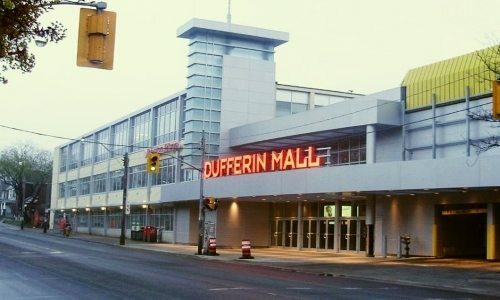 Located on the west side of Dufferin Street, Dufferin Mall is a 567,000-square-foot shopping facility with a rich history. The location was originally occupied by the Dufferin Park Racetrack, which operated from 1907 to 1955. This sprawling, contemporary mall offers big box stores such as Winners, Toys ‘R’ Us and Walmart, as well as many brand name clothiers. 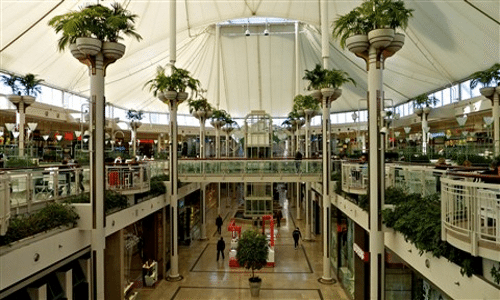 This well-established mall has 120 shops and services to choose from on three stories.